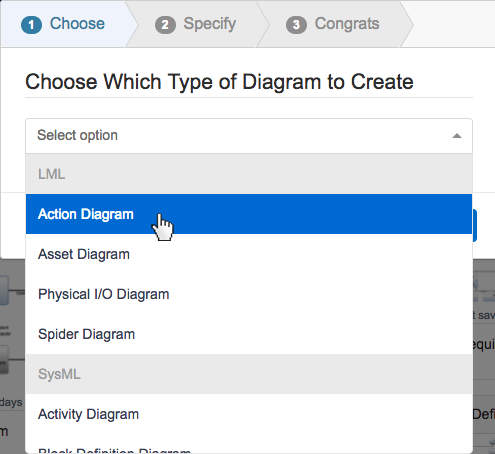 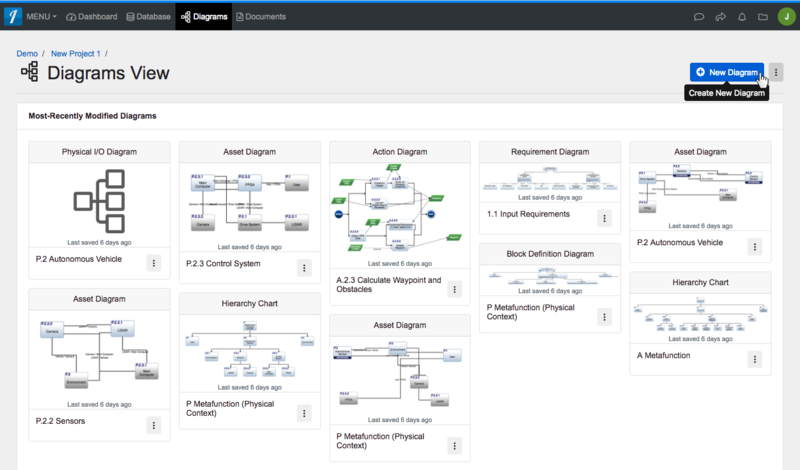 On step one, select a Diagram Type from a drop-down menu of LML, SysML, and General diagram types. 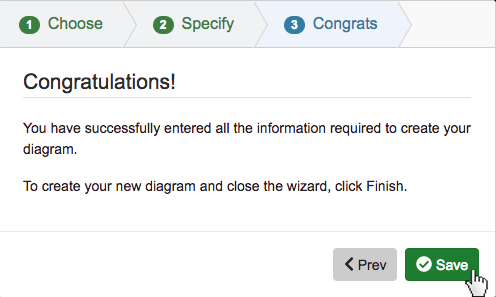 On step three, click the 'Save' button to save and automatically open your new diagram. 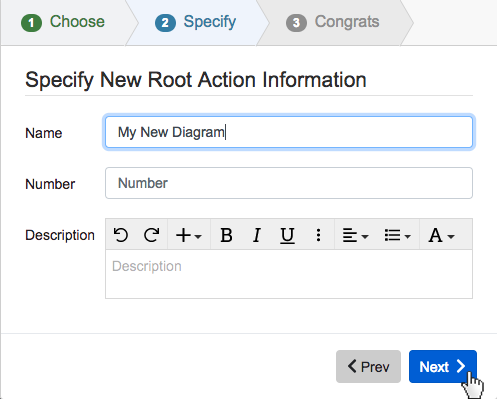 Within ‘Diagrams View,‘ users can create a new diagram by clicking the ‘+ New Diagram’ button on the right of the page. 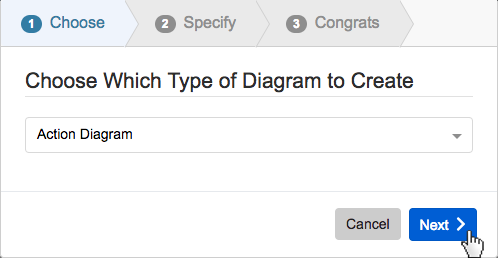 On step three, click the ‘Save’ button to save and automatically open your new diagram.